This was a dish I had high hopes for, but it didn’t quite live up to my expectations. I wanted it to be creamier. I think I used too much pasta and didn’t have enough sauce. I will try this again, but will plan for more cream cheese! 2. COOK spaghetti as directed on package. Meanwhile, heat 1/4 cup dressing in large nonstick skillet on medium heat. Add onions, peppers and garlic; cook and stir 5 min. or until crisp-tender. Add lettuce; cook and stir 2 min. or until wilted. Transfer to blender. Add remaining dressing, cream cheese and cilantro; blend until smooth. 3. DRAIN spaghetti; place in large bowl. Add sauce; toss to coat. 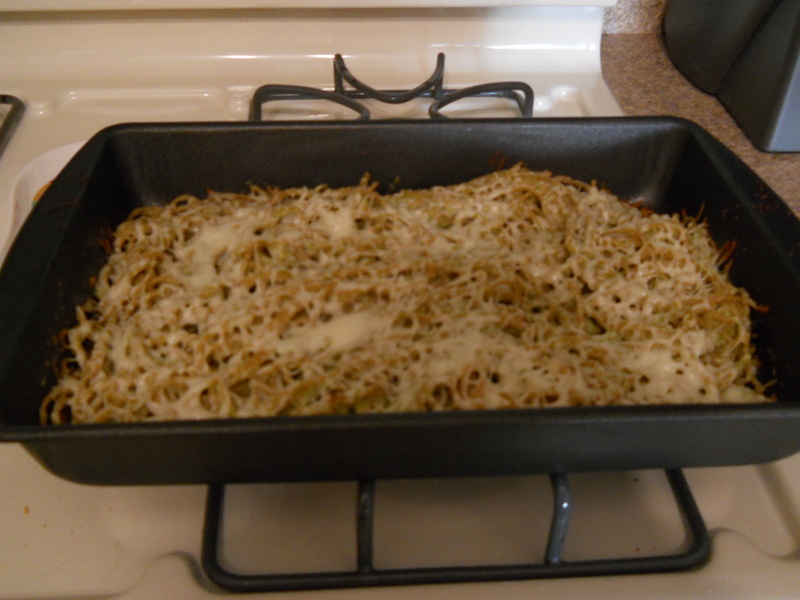 Spoon into 13×9-inch baking dish sprayed with cooking spray; top with mozzarella. Cover. 4. BAKE 10 min. or until spaghetti mixture is heated through and mozzarella is melted. Posted in Main Dish and tagged cilantro, cream cheese, garlic, green pepper, Italian dressing, onion, romaine lettuce, shredded mozzarella cheese, spaghetti. Bookmark the permalink. Despite all the prep work for this recipe, it turned out to be a hit! 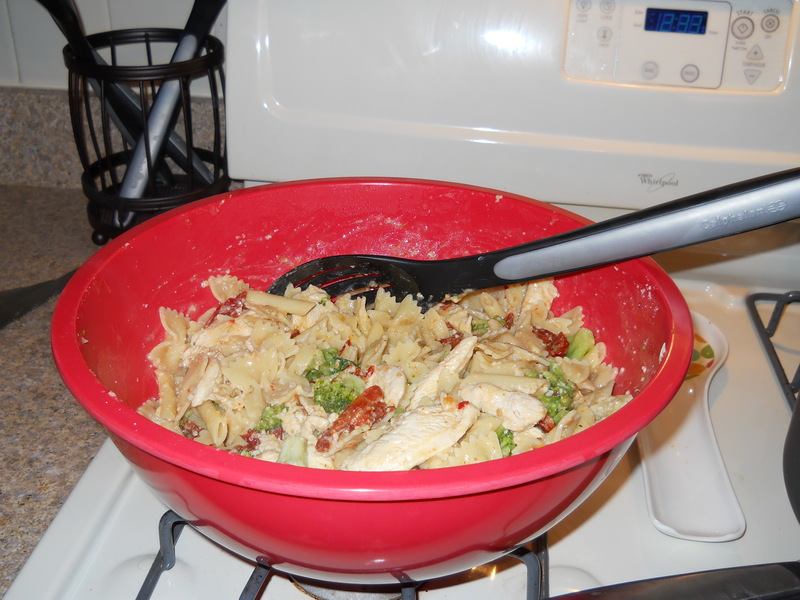 I really enjoyed the different combinations of flavors that came together so well in this recipe! 2. Toss chicken with dressing. Mix cream cheese spread and salsa until well blended; spread onto tortillas. 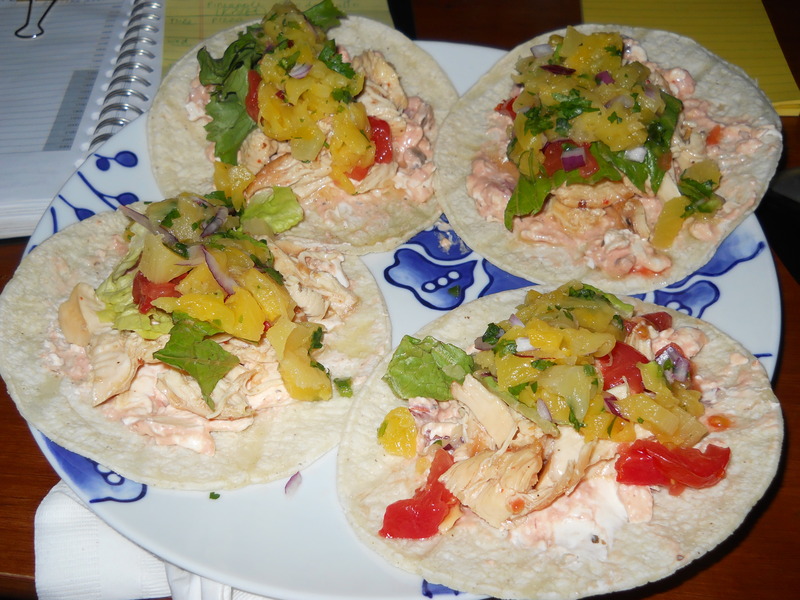 Top with lettuce, tomatoes, chicken mixture and half the pineapple mixture; roll up, tucking in both sides of each tortilla as it is rolled. Secure with toothpicks; cut in half. 3. Serve with remaining pineapple mixture. Posted in Main Dish and tagged chicken, cilantro, cream cheese, Italian dressing, jalapeno peppers, lettuce, lime juice, pineapple, red onions, salsa, tomato, tortillas. Bookmark the permalink. I really enjoyed this salad. I had it as my meal for dinner and it was certainly filling. The best part about this salad is that you can change the ingredients to suit your tastes or what you have on hand. 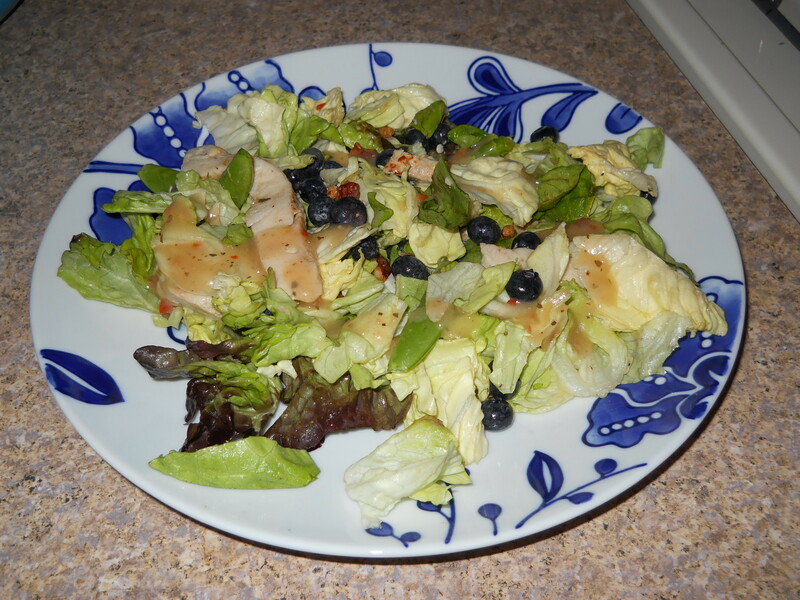 Swap out the blueberries for another berry; try a different dressing; add some cheese, etc. The possibilities are endless. 1. Toss greens with all remaining ingredients except dressing in large bowl. 2. Add dressing just before serving; mix lightly. Posted in Main Dish, salad and tagged blueberries, chicken, Italian dressing, pecans, salad, sugar snap peas. Bookmark the permalink.